One of the most technology advanced cruise ships in the world and operated by Royal Caribbean is getting closer to its Chinese debut in 2015. 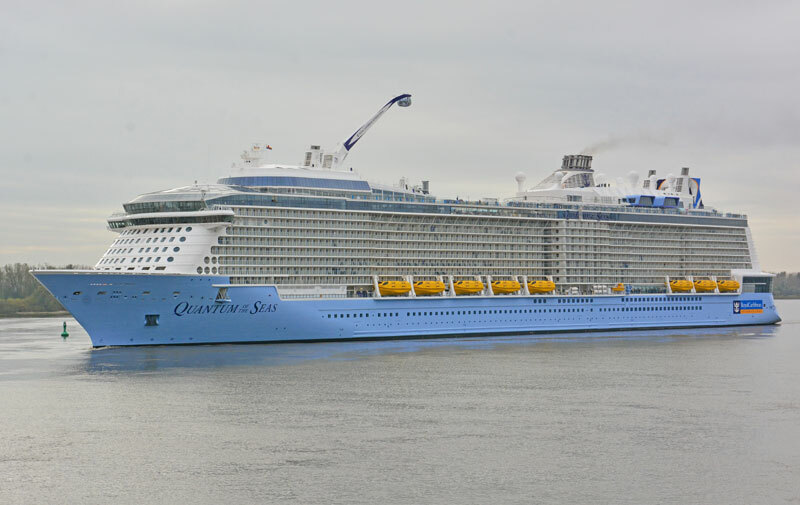 The problem is Quantum of the Seas might possibly not be ready for whats to come in the Chinese market. before the vessel arrives at Shanghai, China it would have already sailed a season out of Cape Liberty, Bayonne in New Jersey so you would think the ship will be more than ready for sailing in a totally different region. The Casino Royale is perfectly located in mid ship on deck three and in the evening attracts traffic from the ships theater and aft public spaces. Betting and playing many different games of Poker in Asia is very popular indeed and can be seen as more of a social event than an actual serious game. In China often the elders are found playing on the streets with fellow work mates to help time go faster. On Star Cruises which is an Asian based cruise line the onboard Casino is constantly a hive of activity more than any other public area. Royal Caribbean might find that the evenings might be evolved around Quantum of the Seas Casino Royale and entertainment around the ship won’t have as much of an audience as first anticipated. With all the glitzy modern slot machines it might be hard to tempt passengers away. There are no official Casinos on the Chinese mainland, only in places like Macau in the South which is a popular tourist destination only because of its grand casinos and hotels. For some of Quantum of the Seas most popular features onboard there could be a problem with organization and dealing with long lines. For sure there is already line control but in Asia, especially China it’s common for people to not stand in an orderly line. This could cause issues with food lines or even bookings. The good thing is Royal Caribbean are not new to Asia and it’s more than likely some changes to onboard services have already been looked at by the cruise line. The shops onboard will be a huge challenge but in a good way! The Chinese love to shop and with the growing middle class in the country there is plenty of money to spend. High end merchandise will be snapped up in no time but with sales and good prices the shops could become too busy for anyone else. The cruise line would have to make sure extra stock is brought on in preparation for lots of purchases. The popular liquor in the region called Baijiu would have to be stocked in either the shops onboard or at the bars, the alcoholic drink starts from at least 40% alcohol. This Liquor is just as or even more popular than beer. The crew will have to be prepared for a different type of cruiser and an important aspect of this is tipping. In China people don’t tip at all and that may not change when on Quantum of the Seas. the guests could get confused on when to tip and if they do then it might not be an amount to keep the hard-working crew happy. There’s going to be many obstacles and differences when the 168,888 gross ton cruise ship arrives in Asia but with all the first at sea features like the SeaPlex, North Star, Ripcord by iFLY and Two70 no matter what the guests are going to love it. Quantum of the Seas debut sailing from Shanghai, China will be on June 25th, 2015 with port of calls including South Korea and Japan. Itineraries will be 3-8 nights year round.